The largest and longest-running asbestos cleanup project in U.S. history is scheduled to end next year—some 19 years after it began. The project, which has an estimated price tag of $600 million, was aimed at cleaning up the defunct W.R. Grace and Co. asbestos mine in Libby, Montana. The toxic site is reportedly responsible for more than 200 deaths and 1,000 illnesses, including mesothelioma. According to an EPonline report, in November 2018 the Environmental Protection Agency (EPA) recognized the work and collaboration of many in Libby, since the mine became a Superfund site in 1999. Congress established the Comprehensive Environmental Response, Compensation and Liability Act (CERCLA) in 1980. CERCLA is informally called Superfund. It allows the EPA to clean up contaminated sites and forces the parties responsible for the contamination to either perform cleanups or reimburse the government for EPA-led cleanup work. When there is no viable responsible party, Superfund gives the EPA the funds and authority to clean up contaminated sites. For the next year, this current and final phase of the W.R. Grace asbestos mine cleanup will be closed out, and long-term operations and maintenance of the site will transfer to the state in 2020. The EPA reports that its activities at the mine site will continue into the near future. “As this 19-year-long cleanup draws to a close, we are here to thank local and state agencies and organizations and community members alike for their hard work, perseverance, and for envisioning a vibrant community." The massive cleanup has restored businesses, public parks, yards and homes, and has created opportunities for the redevelopment of the city’s once-contaminated Riverfront Park, which will now be used for concerts, weddings, community celebrations, weddings, and an annual Riverfront Blues Festival. If you have been exposed to asbestos, it could take decades for symptoms of mesothelioma to develop. So, even if you do not have any symptoms, it is important to see your doctor right away to assess your risk of developing disease. 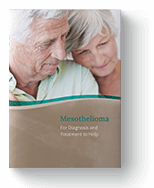 A mesothelioma specialist can set up an individualized monitoring plan, which can help detect mesothelioma sooner and in its most treatable stages. Talk to your doctor about your risk today. "End of Libby Cleanup in Sight: EPA." EPonline.com. 1105 Media, Inc., 17 Dec. 2018. Web. 20 Jan. 2019. “What is Superfund?” EPA.gov. United States Environmental Protection Agency (EPA), 30 Nov. 2018. Web. 24 Jan. 2019. "W.R. Grace acquitted in Montana asbestos case." CNN.com. Turner Broadcasting System, Inc., 09 May 2009. Web. 24 Jan. 2019.